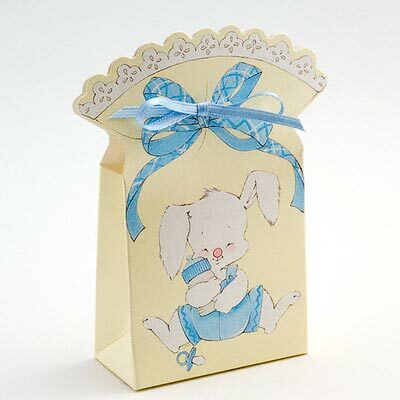 DescriptionRabbit with baby bottle in blue. We offer a choice of popular sweet fillings - Mini Eggs or Jelly Beans. Note: This children's box and filling is sent in flat pack form (they are very simple to assemble). Rabbit with baby bottle in blue. We offer a choice of popular sweet fillings - Mini Eggs or Jelly Beans.